If you smoke or chew tobacco, abuse alcohol or live a sedentary lifestyle, you are at an accelerated risk of developing any number of heart diseases. Too much salt and sugar or processed foods in your diet also raises your risk of stroke, hypertension and other heart problems. Combine no exercise, poor sleep habits and a family history of heart disease with 1 or more of the above coronary risk factors, and you suffer a dramatically higher than normal risk of contracting at least 1 of the following 5 most common heart diseases. Your heart is nothing but a muscle. And like any other muscle, it contracts and relaxes. This is how you pump blood and oxygen throughout your body. When that muscle becomes either weak or stiff, your heart valves fail to operate properly. Your odds of developing congestive heart failure (CHF) are then raised significantly. For many reasons, your heart could beat too slowly, too quickly, or at an irregular rate. This can happen for hereditary and lifestyle reasons. CAD is generally the most common type of heart disease. This happens when your bad cholesterol (LDL) contributes to plaque buildup in your arteries. Unfortunately the early stages of CAD have no symptoms. By the time you experience chest pains, fatigue and shortness of breath, your unhealthy lifestyle and diet have already contributed to significant plaque buildup. These occur when your heart is attacked directly. 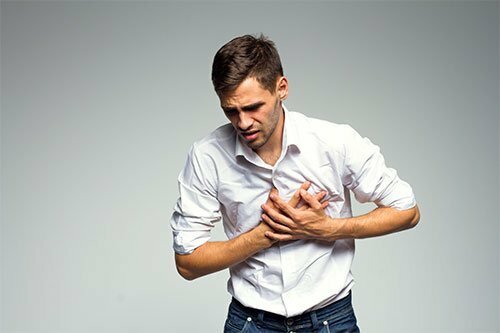 Some viruses, infections and diseases like tuberculosis can cause pericarditis and myocarditis, potentially dangerous heart muscle conditions. Your aorta is a large blood vessel. Its job is to carry blood from your heart to the rest of your body. If your aorta gets too big, you can suffer an aneurysm which causes this blood vessel to burst. Causes can be hereditary, or untreated high cholesterol or high blood pressure. A diet high in fruits and vegetables, whole grains and unprocessed foods has been proven to lead to a healthy heart. Enjoying 20 to 30 minute sessions of moderately intense physical activity 3 to 5 times a week also reduces your risk of the dangerous but much too common heart diseases listed above. Doctors believe that as much as 80% of all heart disease can be prevented through lifestyle change, so take the proper steps today to enjoy a long, hard healthy life tomorrow.